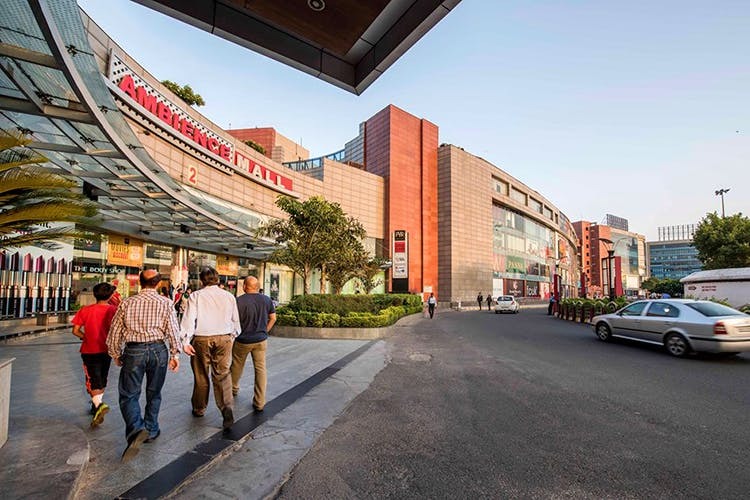 Ambience Mall in Gurgaon is replete with awesome stores, eateries and entertainment options. Here are a few of our favourites, and the main reason for why we keep on going back. Movie buffs, head to this movie hall on the third floor where you can watch the latest releases in 2D, 3D or IMAX. You can book tickets here. Give ice skating a shot at ISkate on the sixth floor. It also has a café, karaoke room and a bar. Warning: you may leave the place with a bruised bum, but it’ll be worth it. Read more about the place here. A cool entertainment centre for friends as well as family. They have a UV-lit bowling alley, VR-based games as well as Unforked (a cafe and bar). Find more info about them here. This store on the ground floor is where you can score amazing cosmetics and beauty products, including ones from Huda Beauty, Urban Decay, Nars and more. We'll admit to being addicted to their lip balms, lotions and body mists. Their products range from skin care and hair care to makeup (you can check the collection here) and buy them all from their store on the ground floor. No trip to the mall is complete without shopping at this store (it’s a guilty pleasure). Whether it’s clothes, shoes or accessories—they have it all. PS: If you're more camp Zara, they have one of those too. Chumbak is our go-to for buying quirky decor, homeware, accessories, bags and gift items. You’ll find their store on the first floor and you can check out their collection here. Fabindia is where we head to add a touch of contemporary-ethnic to our closets and walls. But you can also buy kitschy crockery, bed linens, furniture, beauty products and food items. You can read more about it here. This hypermarket is where you should head to meet your daily grocery needs, or to get cool offers on (they have ready-made food too). Chili’s has a diverse tex-mex menu, and their portion sizes are big enough to fill your stomach to the brim. Our favourite dishes here are their burgers, Chicken Club Tacos, Chipotle Rice Bowl, Quesadilla Explosion Salad and Mango Margarita. Jamie’s Pizzeria is your best bet for gorging on crispy pizzas in a relaxed, well-lit space. You can read more about the place here. Order for their Hand Stretched Garlic Bread, Delhi Hot Pizza, Rocket Radicchio & Parmesan Salad, and Tiramisu. Mamagoto does these really flavoursome meal bowls which are worth a try (if you haven’t had them already). Bookmark this one for when you’re craving Asian cuisine. If you’re yearning for some desi flavours, we say, make a pit-stop at Punjab Grill on the third floor. We love their butter chicken and sarson ka saag. They also have lunch buffets everyday between noon to 4pm.